Crossroads Tours offers private, small group, and luxury tours of Yosemite, Sequoia/Kings Canyon, local wineries, and the San Francisco Bay Area. 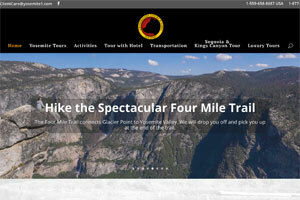 Yosemite1.com gives you access to online booking and real time availability. Serving visitors to Yosemite since 2005, Crossroads has the experience to offer you a delightful vacation with knowledgeable local tour guides.